Introduction. I am often asked to give advice about what it takes to make photography a career so I’ve decided to try and write down some of the important stuff. What follows is a simple list of things that go into making it pay. Each point on it’s own will not make a difference but when you put them all together there’s a chance they’ll contribute significantly to earning a living as a photographer. It’s important to note however that photography is hugely popular as a career choice so even if you followed every one of my tips there’s no guarantee that it's going to work out. Sometimes luck is involved, sometimes it's being in the right place at the right time but mostly it's just plain old hard work, talent and being able to take great pictures. These are in no particular order of importance. 1. You need a website presence with your portfolio on it. You will also need a Facebook® presence. 2. Your website must look neat, tidy and easy to navigate. 3. Your images should be easy to find and view and so must your contact details. 4. Only show the best of the best of your work. Potential clients need to have confidence in your ability to create top quality content. Be sure that you can produce the kind of work you show when you are commissioned to create it for a paying client. 5. If you have to make an excuse for any image in your portfolio, it should not be in there. 7. Have a knowledgeable peer take a look at your portfolio. 8. If your portfolio is not very big, shoot more work. 9. Become a specialist. If you like sport become a sports photographer, if you like weddings, do the same. There is an old saying, if you try to chase two rabbits, you will catch neither. If you are a client and you have the choice of two photographers, one who specialises in the type of photography they want and one who generalises, which do you think the client is more likely to choose? Get really good at it. If you aren’t that good then another photographer will be. If you aren’t that good then do something else. You have to be honest with yourself. 10. Editorial or a commercial photographer? If you want to work with the press and media then this is a different approach to working for another business who may want to use you for product photography for instance. There is no reason why you can’t work for both types of client, just understand they require a different way of working. 11. Set goals for your business. What do you want to achieve in 1, 2, 5 years? What have you got to do to get to those goals? This could form the basis of a business plan. 12. 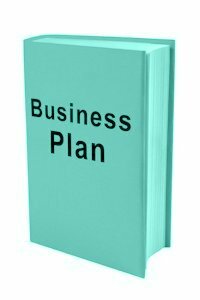 Have a business plan. 14. Find yourself a good accountant. 15. Keep up to date and accurate records of your incoming and outgoing transactions. 16. Keep a database of your images. 17. Regularly back up your images and business files. When your hard drive fails you don't want to waste time dealing with files you wished you had backed up. Also do regular restores to confirm your data is stored correctly. Even backup hard drives fail. 18. Have more than one copy of important files. 19. Network, network, network. You have to help your customers find you. Some work may come to you via your website but probably not enough. You have to do the legwork and contact your customers. Research them and find out who is the best person to contact. Be polite and professional. First impressions count so you have to ensure your marketing and network approach is top notch. 20. There is no marketing ‘silver bullet’. Try different methods of spreading the word as different people will respond to different types of communication. Some will like emails, some will hate them , some will like promotional letters, some will hate them. Some will like phone calls and well, you know the rest. Consider social media as part of your marketing. Twitter, Instagram, Facebook and the rest are all ways of connecting with clients, other people who are in your profession and to keep up to date with industry news. There's a right way and a wrong way to go about SM so tread carefully, learn to use the platforms and take a professional approach. Posts are out there forever and the wrong one could ruin a reputation. 21. Keep a record of who you contact and how well they respond to your communication. You will start to see what works best and what doesn’t over time. 22. Love photography. Be passionate about what you do. A career in photography is very hard so the bedrock of your drive to succeed must be the need to do this for a living. 23. Running a photography business is 95% administration, job preparation, planning, networking, marketing, business networking, social networking, researching, post-production and if you are lucky, 5% photography. 24. Shoot new personal work. Taking pictures for other people is what pays the bills but they might not be inspiring. Take time to photograph the things that excite you. From time-to-time, remind yourself why you wanted to become a photographer in the first place. 25. Keep the customer happy. You want them to come back and also spread the word about your fantastic service. 26. Know your equipment inside-out. Your client will not be impressed if you have to refer to your camera’s manual to make an adjustment. 27. Make mistakes when you shoot personal work so you don’t make them when you are shooting for a client. Understand why you made that mistake. 28. Try different techniques when you shoot personal work so you can recreate them effortlessly when you are working. 29. Look after your equipment. You do not want it to fail when you are working on a commission. 30. Make sure you can work if some of your kit fails. Do you have a second camera body? What if your batteries run out? 31. Buy the best equipment you can afford. Or, can you rent it to save money? 32. Buy fast lenses. The build and image quality is superior. 33. Remember it is the photographer that creates a great image, not the camera. It’s just a tool to get the job done. 35. Understand data protection law. 38. Realise that every image you take will not be a prize winner but it should be what your client wants and makes them happy. They pay your bills. 39. It may bore you to tears but put as much effort and commitment in to that image as you would any image you would shoot for yourself. That’s part of being professional. 40. Have some quality business cards printed. 41. Design a logo. Better still, have a designer create one for you. Business branding is important. 42. Register a URL in your business name with an email address that matches it. 44. Be inspired by other photographers but don’t copy them. This is kind of a repeat of an earlier point, but your style will separate you from your competitors. Your vision and style gets you the work, it's not just your ability to select the correct aperture, that's a given. 45. Keep an open mind. 46. Think creatively about what you shoot, how you run your business, how you promote your work and any other aspect of what you do, afterall photography is a creative medium. 47. Try to understand why some images work better than others. Why do some images win awards? Why do some make the front page? 49. Work very hard at it. Remember, most overnight successes are years in the making. 50. Don't be afraid to say no. Sometimes an assignment or commission won't be right for you or your career. 51. Make things happen. Contact people who might be interested in your type of photography. People who commission and buy your type of work have to know you are out there taking the kind of pictures they need. They will not find you. You have to find them and make them aware you are available. 52. Give thought to adding video production to your services. Video is only going to become more popular and maybe one day be more beneficial to a business than photography. This list is not the ‘be all and end all’. There will be a myriad of other important points I have not thought of, don’t know or haven’t encountered myself yet. You never stop learning photography or being in business. There is always something new to understand or exploit.